ELLIN LOGOS (Hellenic Word) "The code of HELLENIC LANGUAGE" in the first of my six books series titled "The Hellenic ALPHABET IS UNVEILED"; it has being clearly explained that all the words are composite of consonants (soft spoken) and vowels (strongly expressed) letters. So the first basic description of letters is their division in vowels (loudly spoken or the phonetic power is loud-FONIEN) and consonants (softly spoken or the volume of voice is low-AFONA). The consonants (AFONA) express denote or indicate the meaning as singular entity. The vowels (FONTEN) as active forces light up the meaning of the consonants and give out a complexity of information. The consonants there for of the Hellenic alphabet in order to be expressed and to denote their meaning they need the accompanying of the vowels. The vowels are luminess (FANOI- lanterns) and the expressive force of consonants. As the representative of all vowels I put forth the letter A (ALFA), which I consider as the vowel of "The beginning" (APXH-Arche). The letter A by its name Alfa, with the use of the code is expressing original force of sunlight, electromagnetic radiation. The Alfa (A) as the first vowel I place it as second letter accompanying all the consonants and create-build the 1 7 original syllables or first meaning or first meaning's or first words (protolexies). It is not by accident that the Greek alphabet (and all other alphabets) begins with the Letter A (ALFA), and so except that it's meaning is expressing the origin of the creation of the physical world. ELLIN logos. The Hellenic language thus far is proven to be a fountain of inspiration about the code meaning's and the instigator and promoter of logic. Logic in a sense comprehends methodically the conclusions as self evident through the analysis of the syllables that synthesize words. The union of consonant and vowel constructs the first cell (syllable) of the Hellenic logos and the meaning duality is there for apparent. And in the same way our physical word (the cosmos) is dual-bipole and it's governed by mathematical law of action that regulates the flow of energy. In the computer system the meaning Zero (Miden) and One (Ena), coincide with the meaning positive-negative, closed-open, expressed-unexpressed, active-inactive. In the Hellenic language, the consonant denotes the idea and the vowel contribute dynamically to the information expressed by the consonant. 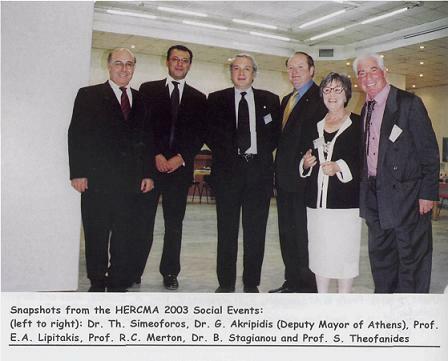 The meaning of information exchanged between two or more persons taking part in a dialectic form is by nature and in its self dual (AMPHIDROMOS-Two directional), and places the interactive partners in a common situation. The letter that unite to make every syllable being vowel or consonant all interact with in, so that the major consonant describes about the essence, meaning or it's light and in the other hand the following vowel denotes the power and the action of the consonant the way expressing it's self and the value of it's essence. As an example I will examine the consonant P (Ro) that means by the code flow (ROEN). The meaning of essence of this consonant is (Roe) Flow. At First that flow, is taken to mean flow of light energies or intelligence and of after words as any other flow in nature. In the formation of the protosyllable PA (RA), the first syllable, the vowel Alfa that means the original force, defines and designates that this original force that it's taken to define the flow of light energies. The PA (RA) as a syllable word transfers the information of the two letters comprising as such P (R) - Flow and A-original Force. The information that I just analyzed differentiates if in the position of A, I place the letter E (EPSILON) which means the originating force moving in the plane. The second dialectic letter E, in the syllable PE (RE) is expressing a different meaning from the first PA (RA) syllable and designates the essence of PA (RA) moving in the plane PE (RE). Continuing and maintaining the consonant P(R) and accompanying it with a I (IOTA) it will describe as PI (Rl) - flow down coming of lesser value, or quantity. As PY (RY), the syllable will describe a great accumulation of flow, and as PH (RH) it will be expressed or evident or as being seen. The vowels that where discussed as accompany the consonant P (R): E, I, Y, H, denotes the apparent force of ALPHA (A) giving out the meaning of the original force. The use there for of the vowels proves that the FANOI (Luminus lights of the mind) light up in many ways, the basic meanings of the consonant and they (FANOI) make them (consonants) ever complex in a multitude of expressions. "THE LOGIC OF THE ORTHOGRAPHY"
Especially in the book "The logic of the orthography", the meaning or essence of every vowel is extensively examined. I want to mention here that every one (Anthropos-man), and according to the philosophy of ELLIN LOGOS is accepted as one singular entity and is a small part of the original creation. Man there for is commonly accepted, and because of his ability of speech and being logical, is able of complex communication, and reasoning and making decisions, on a variety of matters. Even though man has reasoning and logic, he is not always with out fault, and he does not know everything. This is happening because he is called up on to interpret the phenomenal realities of the world. Man's logic and investigating ability depends on his general knowledge of things, the availability of information and mainly his attitude and character. Logic, as a meaning expressing, specialty and ability of the mind, is mandated since the very beginning, to enhance the formation of new opinions by man, when new evidence of knowledge are compiled on the existing ones. The way logic functions is dictated by the word (logos) and it is called logism, thought. Any man and especially the one called ELLIN=GREEK, bright, luminous mind, according to the code is fully aware of his intelligence. Thru the computers, man's own achievement in scientific art, the attempt is being made, to enhance his intelligence and further more to create an artificial one. Already the industrious modern man has increased the ability of his senses and the speed with, he curries out his operational needs. Our age is characterized as the epoch of electronic means of communication and information. I with the courage of personal opinion add one more character to our epoch and defined it as the age of word, especially the Greek word-Hellenic Logos. At this time and age man must pursuit, together with accumulation of knowledge the enrichment of culture and elevation of his spirit. This view of mine I stress thru the code of Hellenic Language which I propose as the safest method of analysis of word and grammatical meanings. 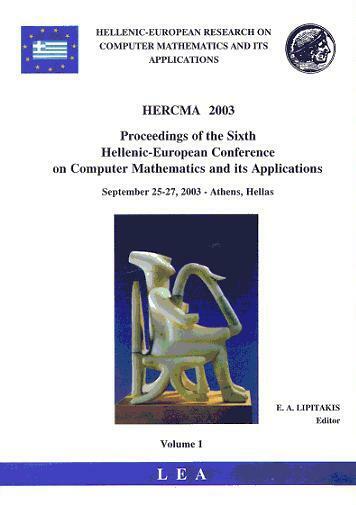 Thru the use of the code the research becomes available to all, and it is then understood that the Greek Language is the mother tongue of all Greek descended Languages and dialects. There for the Greek Language is the offspring of Hellenic Logos and the finest tool of communication, information, dialect, art, science and culture. The Greek Language has the ability to express with mathematical precision Universal knowledge delivered from the cosmos (nature). The essence of Hellenic Logos and the essence of the Hellenic man on earth are by, the mind of the Universe, one and the same. Any Hellenic man -as luminous mind and all luminous minds are considered (ELLIN-EΛΛHN) Greek do have the word within, the inner word. This word (LOGOS) flows from, and gives the special charisma to the researchers and scientists seeking to prove everything about anything. Indeed common sense, the Aristotelian reasoning, of man, makes clean the difference between philosophical or theoretical or tangible conclusions. The way computers, carry out today the multitude of their activities it is fascinating and admirable. The results of the right usage of these machines give great results in less time and money and better, concise, comprehensive information. Any kind of man made machine is called utensil (SKEVOS-ΣKEYOΣ). By the code the word skevos means a technical man made machine or utensil designed for a specific usage. The word SKEVOS (ΣKEYOΣ=utensil) according to the analysis of the code which explains and expresses the meaning, defines the following. When ever there is S (Σ) - has inner view- sight within. K = earthly body, material (ma-TERRA(EARTH)-ial). EV (EY) = Absorbs and distributes its energy. O = within, small defined area. There for SKEVOS is, a man made materially build for a certain use. The way though any machine works, is by all means of great importance and is called function (ΛΕΙΤΟΥΡΓΙA-LEITOURGIA). By the syllable LEI (ΛEI) is shown that the radiant energy L (A), which is extending (E), and condenses (I), when the remaining of the word (TOYOTA) defines the specific function that is being fulfilled. Leitourgia (ΛEITOYPΓIA) in any event is an enlightened activity. The materials needed for the function (Leitourgia) to be carried out, are provided by the machine (SKEVOS). For our mental and spiritual needs the most excellent and priciest service is provided by the Hellenic Language and its code. This is achieved by using the code as a tool (ERGALEION-EPΓΑΛEION) which means luminous work and I am very proud and happy of introducing it. This code provides the means of more precise functions of human intelligence and does have the same application in electronic machines (computers). Any machine, as a product of the human mind, does have the need of a logistic system. The Logistic system of any machine in order to operate must obey Universal Laws and imitate their functions. The Coded massages of letters, in the Hellenic alphabet are expressions of physical Law, and this is exactly their meaning. The meaning of syllables does obey Universal Law that defines the physical world as being two-poled having a potential differential. This law allows the union of a consonant and a vowel, thus the resulting meaning builds the first syllable or the first cell of the Hellenic Logos. As I have previously mentioned, the same way functions the ON/OFF, closed/opened, +/-, plus/minus. To further my position on positive-negative, being the only possible union in nature I offer this dogmatic phrase from Heracletos [(arist.) de mundo 5, 396b, 7 discs Mc Donald]. "Osper amelei to arren synigage pros to thily ke ouh ekateron pros to omophylon ke tin protin omonoian dia ton enantion synipsen, ou dia ton omoion; eoike de ke etehnie tin phycin mimoume: nie touto poiein. . . .Grammatikie the ek phonienton ke aphonon grammaton kracin piysameny tin olin tehnin ap' auton cynestisato". Heracletos so agrees that nature according to law allowed the union of male and female, and not the ones from the same genders, so we shall work, on the same principle. The first concord established by nature, the union of two opposite forces such as the positive-negative electrical field. We observe this in a battery that can do a certain kind of work, by the force of its poles e.g. negative -positive. Thus we see that man's science, is mimicking nature, and by doing it so, obeys the Universal law. Grammar, (Γραμματική), Spelling (Orthography-Oρθογραφία), as man's most creative art obeys the same law, and imitates nature by forming the first syllable from the joining of a consonant and a vowel. From this first syllable cell all the body of the Hellenic logos (word) was developed. We will assume in this grammatical union, the male as consonant and the female as the vowel. Choosing the A (ALPHA) as the first vowel and pairing it with each one of the 17 consonants, I construct, as I have mentioned previously the first coded syllables. (Protocoded). So, ΦA (FA) = Light of the first beginning. And, PA (RA) = Flow of the first beginning. This first two protosyllables (First Words) present the two syllable word (ΦAPA) FARA, in this original coded Form, expressing the meaning of light of the first origin in its original Flow. The exchange of rowels with the same consonants, will produce different words, but it will not change the basic meaning of the consonants Φ (F), P (R), e.g. ΦEPQ (FERO - bring) = Light flowing (emitting). By this word's expression of original Light Flow, we have the following meaning carrying something in distance produce, obtain, direct, offer, looks for something and many others. Indeed the use of different vowels builds a multitude of-words serving the expressing needs of speech (LOGOS). In one of my books teaching the code of Hellenic Language, title "CODE DICTIONARY-ELLIN LOGOS", there are 4 tables with two syllable protocodical words. By exchanging the first vowel ALPHA (A) with the rest off the vowels, all the two syllable words are produced, and with the appropriate computer program all the multisyllable words could be constructed as well. The joining of two or more, accordingly to the situation, syllables by the second natural Law of (Heracletos) which states that nature unites, makes in body, turns out in mass things of same consistence. For an example of this dogma the simple existence of solid matter, e.g. the atom of gold was formed by opposite electrically charged particles, and the mass of gold was made by identical atoms of gold. Closing this introduction here, I say inferentially that the original union (OMONOIA - in the creation of the Universe was the junction of opposite electrical Fields namely the equilibrium of energy. The second OMONOIA - CONCORD, the continuing of formation is inferred to the synthesizing of elements different atoms that form mass. In the first OMONOIA (original union) by the natural law, co exist the informant mind law that directs the synthesis of energy forces to be produced in complex forms. In the second OMONOIA - CONCORD continuing union always and with in law, the original information coexist and is directing with in informant law (natures mind (NOUS) -law (NOMOS) or physical law). Homonomous thus, conclusively mean that it is the result of basic presupposition such as information, behavior, scientific knowledge etc. The correctness and availability of information makes this homonomous situation possible and averts deviance, and allows the people to live together in peaceful coexistence and happiness. Finally the just condition of citizens of a lawful state of people and a union of Nations (countries) depends primarily of the fullness and expertise of information.